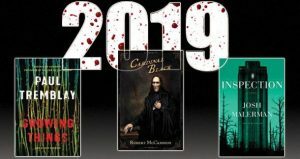 I’m thrilled to see my novel Will Haunt You on LitReactor’s list of most anticipated horror novels of 2019. And check out this blurb: “This book is unlike anything you’ve ever read before, and you’re going to punch yourself in the face if you neglect to pre-order it.” I love that so much I want to give it a french kiss. Check out the entire list HERE, and order them all. That’s what I plan to do. 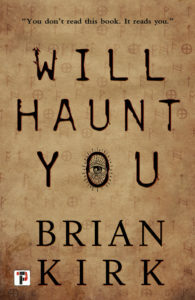 Will Haunt You is now available for purchase in all formats. Be sure to check out the creepypasta-style prequel OBSIDEO before you begin the book.